Snap-able, Bendable, Zip-able, and Connectable! 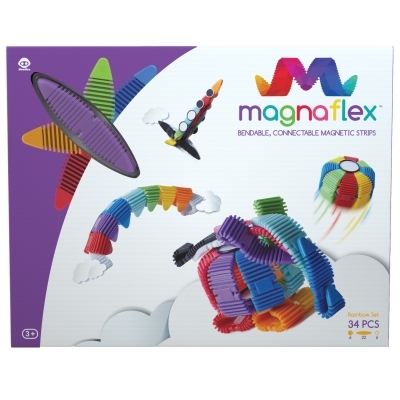 Magnaflex creative construction kit inspire children of all ages to build anything they can imagine! These multi-piece kits include flexible magnetic strips in vibrant colors.